Long ago, I used to host a lot of parties. We held lavish birthday parties, huge Thanksgiving and holiday gatherings, July 4th pool parties, and regularly participated in brand parties and events. Then--life got in the way and I had to step back from party hosting. 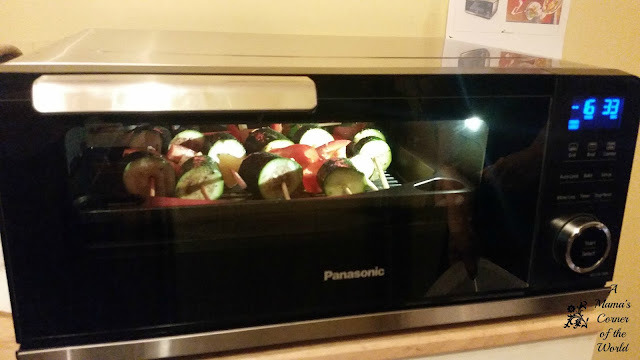 When I recently had the opportunity to host a Panasonic Countertop Induction Oven party through House Party--I jumped at the chance. I have a tween and teen daughter--and we immediately saw the perfect opportunity to host a cooking war challenge between their groups of friends--and share the Panasonic Countertop Induction Oven with the girls' families as well. I wanted to share the details of our House Party--and encourage you to check out this innovative kitchen tool! What is a House Party event? House Party is a really cool website for those who love to entertain. House Party members complete a profile--and then apply to host various in-home parties with varying degrees of sponsorships. We were recently approved to host a Panasonic Countertop Induction Oven party. 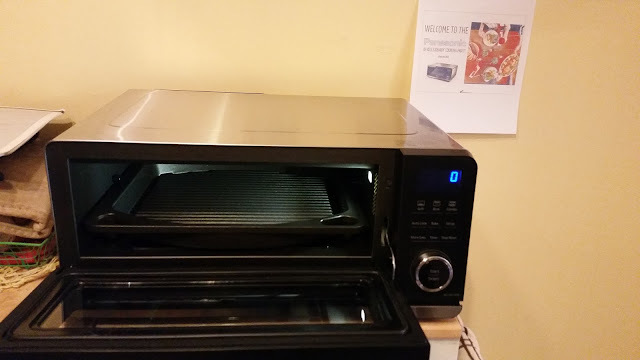 We were asked to invite at least 10 guests and host our usual style gathering--featuring the Panasonic Countertop Induction Oven in some way. 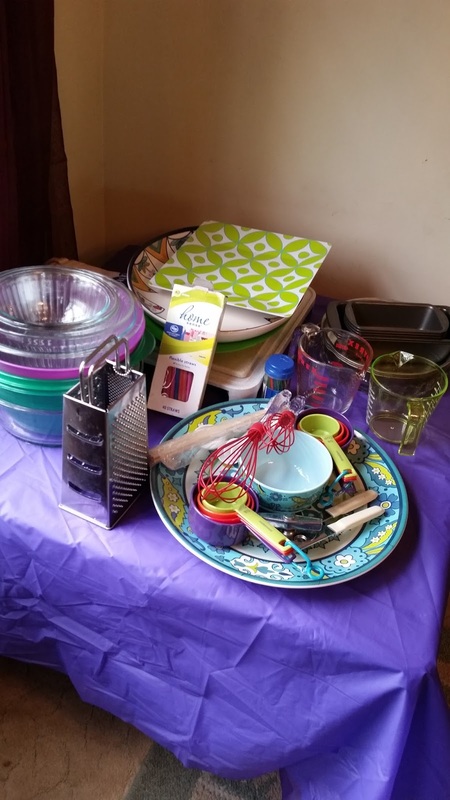 We were provided a complimentary Panasonic Countertop Induction Oven, some party favors and some party planning resources. We planned a Cooking War Challenge. 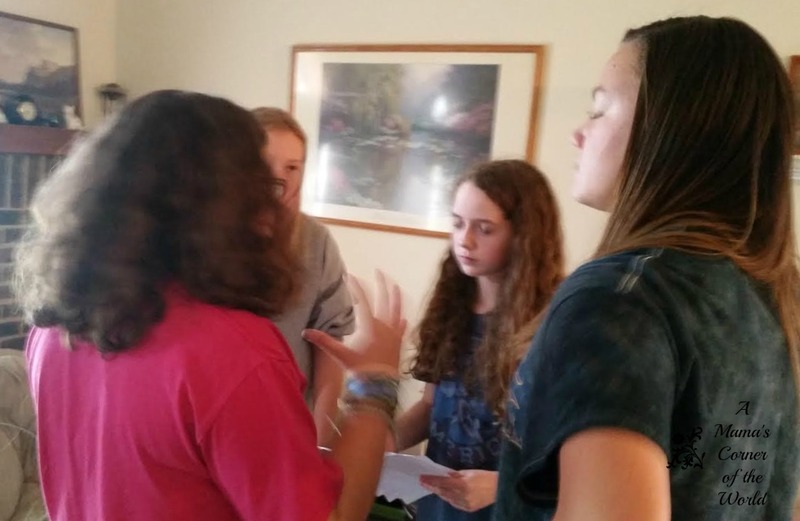 What happens when your daughters are two years apart, attend gifted education programs at the same school--and love competitions? You host a cooking war between their friend groups, of course! The girls formed their teams. 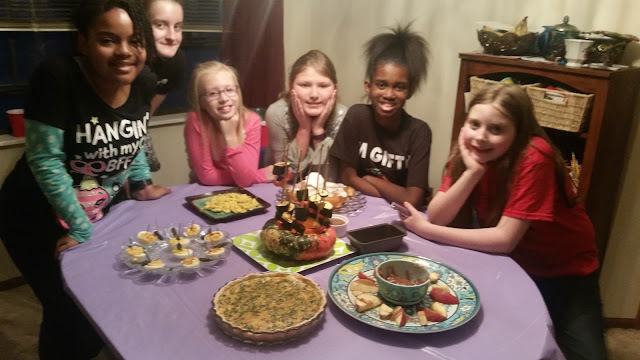 The girls were assigned the task of creating an Appetizer, a Main Dish, a Side Dish and a Dessert during a 6 hour party time. 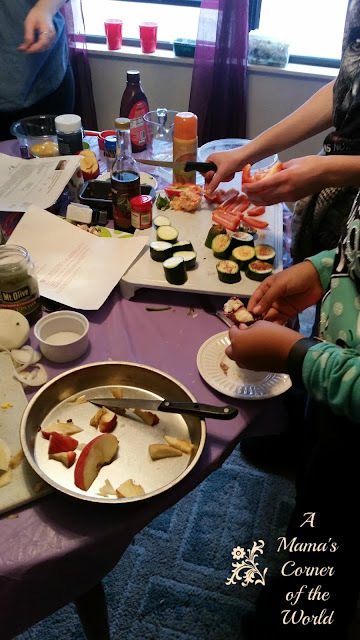 They were required to use a squash of some sort in one of their dishes--and use the Panasonic Countertop Induction Oven to prepare one dish. 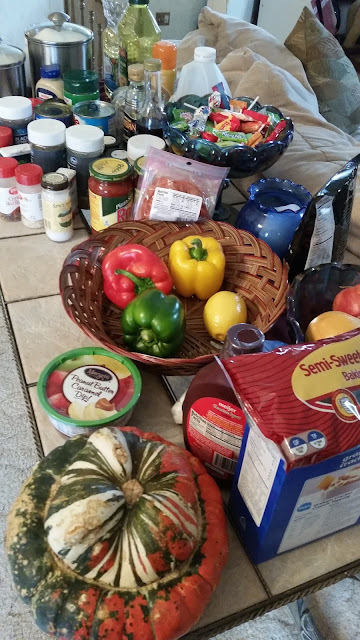 They were given a "due date" for their lists of recipes so that I could have all of the needed ingredients. 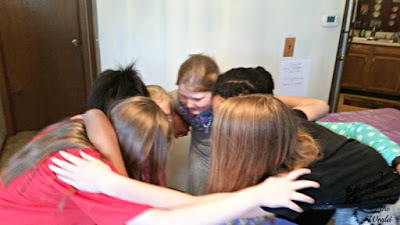 ...a group of 5th grade girls who chose one of our cats as their mascot and namesake..
...a group of 8th grade girls who have had years of school, group project experiences together, love puns, and gave a "shoutout" to their "pearants"....on their team banner. Pun lovers, I say. 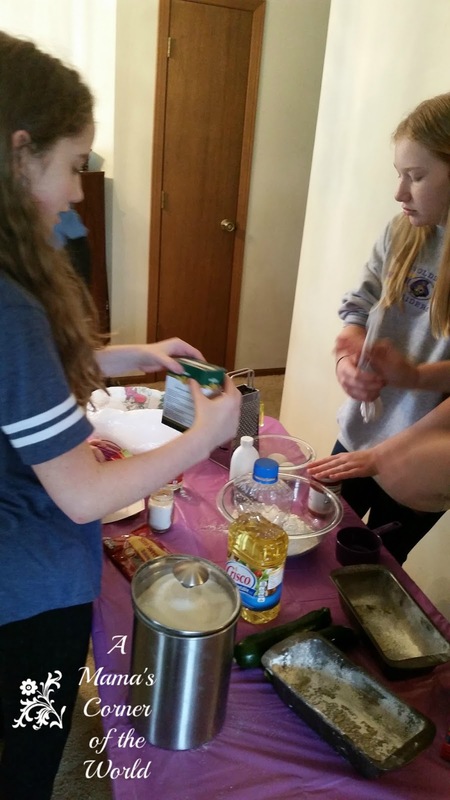 Each team was responsible for hand-washing dishes and utensils as they used them--and for returning un-needed items to the "community" table of supplies--and everyone had access to the refrigerated supplies. Team Elsa seemed to cook in a constant state of chaos. All four dishes were in various states of preparation--and the team was working on additional sauces, toppings, and experimental offerings as extras to their menu. I was 100% convinced that these girls would never finish on time. I was wrong. Not only did they finish nearly an hour before the other team--they prepared three extra final dishes for their presentation table! Team Pear Pressure was neat, methodical and organized. They prepared one dish at a time. They cleaned meticulously between dishes--they had a dedicated dish washer--and they always knew who was doing what....but, they barely finished their presentation table by the judging time limit. Each participant was rewarded with silver cups, candy and/or cookbooks--depending on their level of "win" in the competition. I am already looking forward to a summer cooking war challenge with these girls! 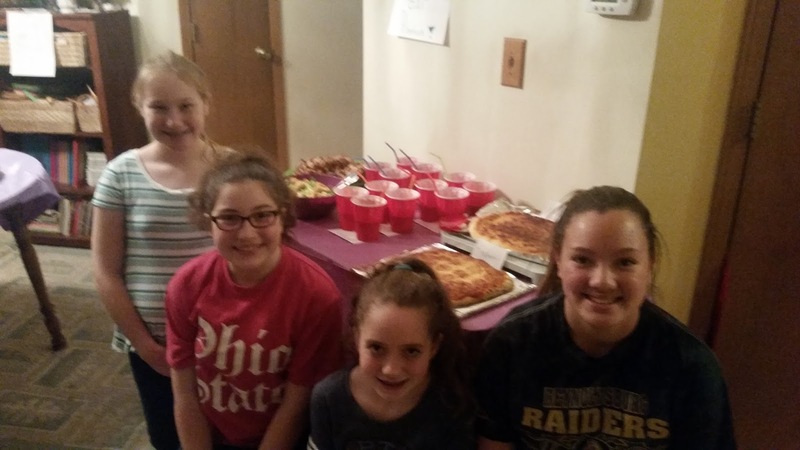 They were wonderful--and I'm pretty sure I had just as much fun as they did at this party!